Which length of screw do I need? Generally speaking, the longer the screw the stronger the fix. Frustratingly however, the longer the screw, the tougher it’s likely to be to sink into place – and that can be an important factor if you have a lot of drywalling to do. As a general rule of thumb, choose a screw at least twice the width of the Gyproc or other material you’re screwing to the studding. Our screws range from 25mm to 150mm, so you should find it easy to find the right length of screw for your application. You’ll notice two distinct types of carcass screw in the Tradefix Direct range: fine screws have a tighter thread pitch, more tightly packed around the screw’s central shaft. Coarse screws have a less tightly packed pitch. So which is right for your application? Coarse screws are ideal for the softwood timbers typically used in drywalling and partitioning. The fibres of pines, poplars, spruces etc are soft and not densely packed, so they need a screw that will tear deep into them, grip them and pull the drywall tight to the studding. Coarse screws are also less likely to become clogged as the screw drives into the softwood. Fine screws are the right option for metal stud drywalls, where a coarse screw is more likely to chew up the metal and reduce grip. You’re unlikely to be using hardwoods in drywalling, but fine screws are also the go-to option when working with denser timbers such as walnut, oak, maple and mahogany. 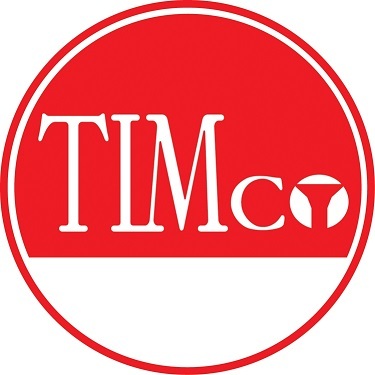 On indoor applications, a zinc plated or black passivated screw should provide all the corrosion resistance you need. But which is right for your application? 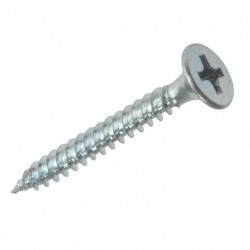 Zinc plated drywall screws are the natural low cost options for low humidity areas. 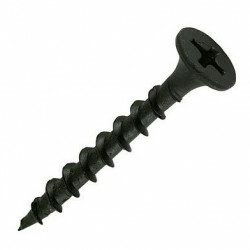 Where a wall will be exposed to higher humidity – for example on a kitchen partition – choose black passivated screws. As most drywalls are covered, the colour of the screw won’t be an issue in the final finish, but it will offer greater corrosion resistance and inhibit any rust damage to the wall finish over time. If you’re planning on leaving the ironmongery exposed, a black passivated screw can also provide an eye-catching finish. Few projects are as well suited to a collated screwdriver as drywalling. 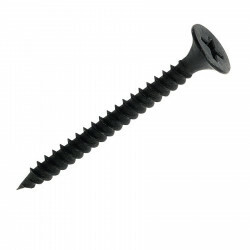 With potentially hundreds of individual screws to sink, our collated drywall screws, available to buy in strips of 500 or 1000, help you get the job done much faster. For over 20 years we’ve been supplying drywall fixings to UK tradesmen and DIYers. We’re as committed to delivering exceptional service as we are great prices, and you’ll find both when you buy online or call us for advice. Still not sure which screws are right for your drywalling project? Call us now on 0161 794 1783 before you buy online.